Long-distance moves present a unique set of challenges, whether you’re moving your family or business one state away or across the country. 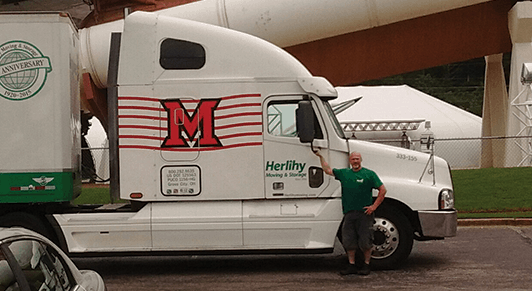 With Herlihy Moving & Storage, you will have peace of mind knowing that your move is being handled by the top Ohio moving company in partnership with Mayflower, the largest moving company in the world. Your long-distance move will be managed personally by a knowledgeable and friendly moving consultant, who will be with you every step of the way. Plus, you can track each step of your move through our online tracking system. Request a free in-home estimate from Herlihy Moving & Storage today, then check out our moving tips for resources to make your move as efficient as possible. Check out our Planning Guide, Moving Tips and Packing Tips for some helpful tools for your next move.